Summer means there’s no better time for a nice picnic with friends! We ate pasta yesterday with my best friend and ended up doing way to much so we just used the leftover plain pasta to make a pasta salad. 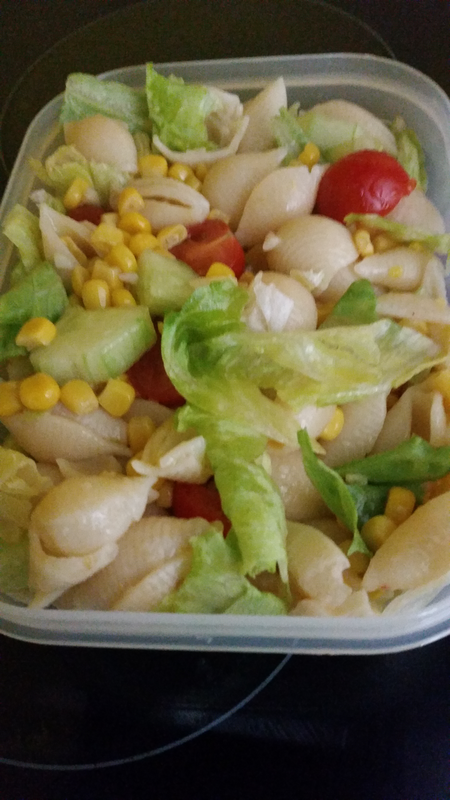 It was the first time ever I ate a pasta salad. I usually eat my pasta warm and didn’t understand the concept of eating them cols before this picnic. It taste delicious!